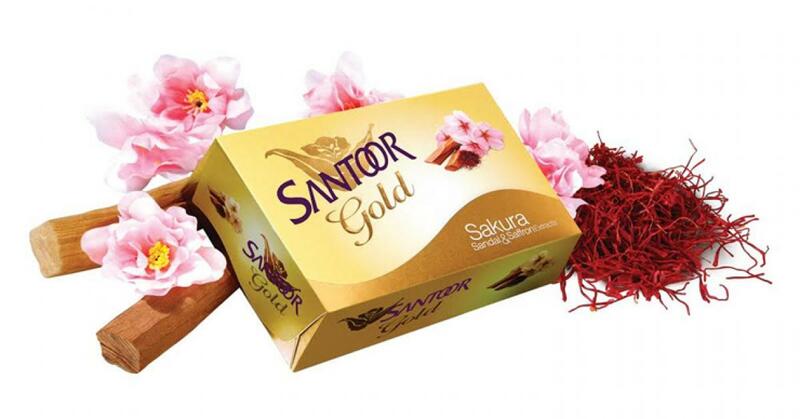 Santoor, the flagship brand from Wipro Consumer Care & Lighting has announced the launch of "Santoor Gold"
Santoor, the flagship brand from Wipro Consumer Care & Lighting has announced the launch of its unique skin nourishing soap “Santoor Gold” in Andhra Pradesh & Telangana market. This new premium soap comes in a contemporary packaging with a unique formulation enriched with extracts of Sakura, Sandal and Saffron that effectively nourishes skin & provide refreshing fragrance. The soap is available in 75 gms & 125 gms priced at Rs 28 & 48 respectively. This new soap enriched with the goodness of natural ingredients – Sakura for a brightening touch, Sandalwood for satin softness and Saffron for radiant skin, gives a clear skin with natural glow. The soap continues Santoor's promise of offering premium personal care products while using traditional natural ingredients for the modern women. The modernized portfolio is set to fortify the well-established Santoor brand and make it even more endearing for the discerning consumer. The world famous Sakura is also being widely used in beauty products for its incredible skin whitening, anti-inflammatory, anti ageing and soothing properties. Sandalwood and saffron are the two ingredients used which occupy a special place in skin care due to the multiple benefits they offer.